The Organizing Committee has drawn up an all-embracing agenda of academic activities to fulfill your intellectual requirements. The programme encompasses a well designed pre-conference live surgery workshop conducted by eminent otolaryngologists of the country, orations, panel discussions, free paper sessions and a quiz programme for the Residents. Khosla Gold Medal for best paper on neuro-sensory deafness in children, Shrimati Saraswati Verma Best Thesis Award, Junior and Senior Faculty Awards would also be presented during the meet. The host city is known the world over for its culinary delights and your hosts plan to take you to an excursion to Amritsari cuisine. The tempting food delicacies whose recipes have matured over hundreds of years are waiting to kindle your palate. 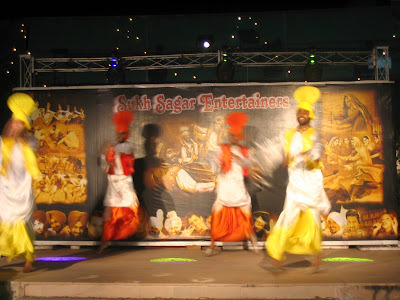 Amritsar is blessed with the divine presence of Golden Temple, Ram Tirath and Durgiana Mandir. The inspiring memory of martyrs of Jallianwala Bagh adds another dimension to magnificence of this historical city. Yet another centre of attraction is the Indo-Pak border at Wagah. Local travel arrangements would be in place to enable you to get a glimpse of the grandeur of this holy city.